HALLWAY: Doors to the cloak room, office and kitchen/diner. Understairs cupboard, oak flooring, staircase rising, radiator, double glazed window with stained glass inserts to the rear with slate sill. CLOAK ROOM: 9' 0" x 3' 8" (2.74m x 1.12m) Low level W.C.,wall mounted wash hand basin with tiled splashback, radiator, oak flooring, high level open shelving to one end. 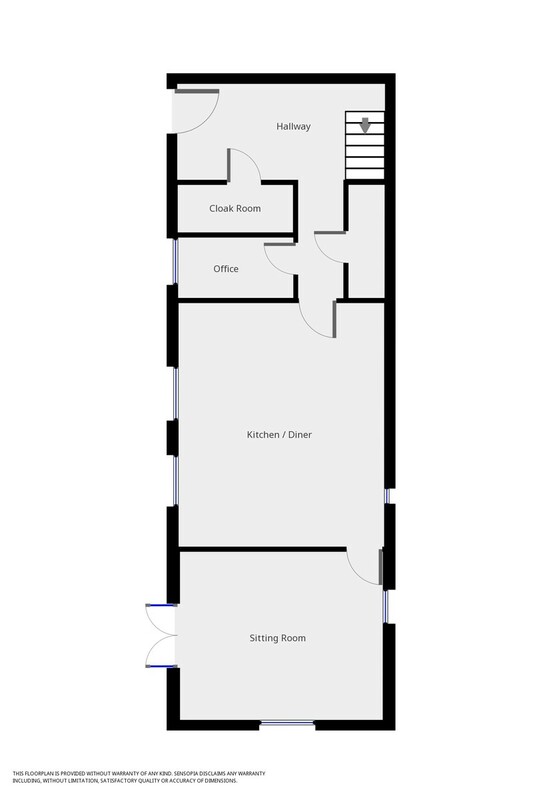 OFFICE: 9' 0" x 4' 9" (2.74m x 1.45m) Double glazed window to the front with deep sill, radiator, oak flooring. SITTING ROOM: 15' 8" x 13' 1" (4.78m x 3.99m) Double glazed patio doors to the front, double glazed window with slate sill to the side, double glazed window to the rear with slate sill, oak flooring, radiator, exposed granite chimney breast fireplace (currently blocked), access to the loft. FIRST FLOOR LANDING: Double glazed window to the rear with slate sill, doors to bedrooms 1,2,3 and bathroom. MASTER BEDROOM: 13' 10" narrowing to 8@10" x 12' 6" narrowing to 7' 5"(4.22m x 3.81m) Double glazed window to the front with deep quarry tiled sill, enjoying countryside views to Trencrom Hill and beyond, radiator, built in range of wardrobes, with open shelving, deep drawer unit and hanging rails, wooden beamed ceiling. ENSUITE SHOWER ROOM: Corner shower cubicle with wall mounted shower, low level W.C. wash hand basin, heated towel rail style radiator, fully tiled walls. BEDROOM THREE: 9' 3" x 9' (2.82m x 2.74m) Double glazed window to the front with pleasant rural outlook, quarry tiled deep sill, two built in cupboards with slatted shelving, wall mounted gas boiler. 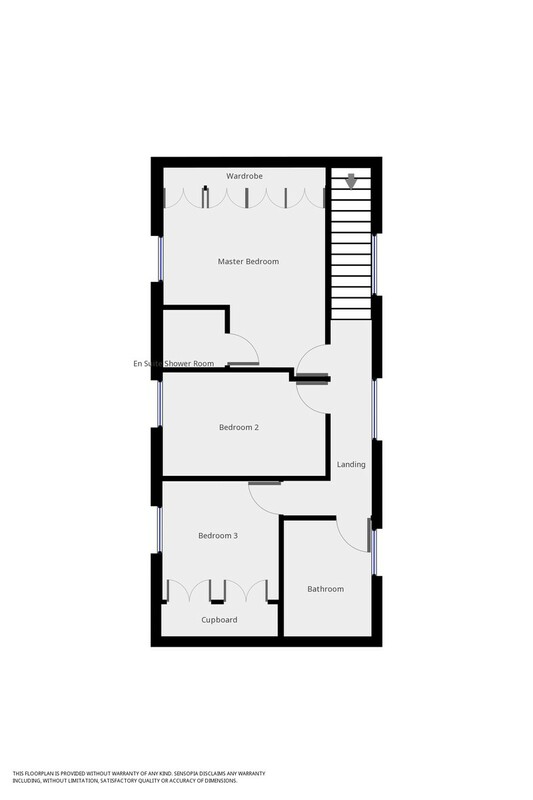 BATHROOM: Obscure double glazed window to the rear, fully tiled walls, panelled bath with shower screen, wall mounted shower over, low level W.C. heated towel rail , pedestal wash hand basin with mixer tap and mirror over. OUTSIDE: Open gate with wooden fence to one side leading to stone chipped parking area to front of the property and the detached barn housing carport and store/workshop. There is a stone pathway to the front of the property, this continues to the front of the store /carport and to a double wooden gate which in turn leads to a stone patio area in front of the sitting room. To the front of this is a further paved patio area enjoying countryside views to Trencrom. There is a stoned chipped pathway to the side of the property with a raised flower bed to one side with established plants and shrubs, this pathway continues to the rear of the barn with a stepped raised rear area laid to stone chipping. There is a lawned side garden which leads to the rear garden laid mainly to lawn with a central circular flower bed. Wooden garden shed. To one side is a fenced/hedged vegetable garden with a green house. There is a further wooden open store to the side. DIRECTIONAL NOTE: From Marshalls Hayle office proceed westerly on to the causeway, taking the turning on the left signposted St Erth. Follow this road in to the village turning left at the chapel. Continue past the Post Office and Public house through Fore Street and around the bend to the right at end of this road, before the next bend turn right along the side of Lanuthnoe Farmhouse and this property will be ahead of you on the left. CARPORT 15' 6" x 15' 3" (4.72m x 4.65m) Security lighting.